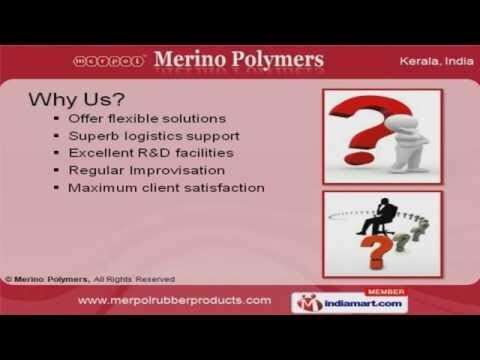 Welcome to Merino Polymers, Manufacturer and Exporter of Moulded and Extruded Rubber Products. The Company was established in 2003 at Ernakulam. We are a registered member of SSI and we cater to US and UK. Superb logistics support, Regular Improvisation and Maximum client satisfaction make us stand apart from also-rans. Our product list covers Extruded, Moulded Rubber Products and Rubber Rollers. Extruded Rubber Products offered by us are in huge demand across the global markets. We also provide Moulded Rubber Products that are best in the industry amongst others. Our company specializes in offering Rubber Couplings, Hoses and Bellows. We offer an extensive array of Rubber Rollers. Along with that we offer Special Purpose Rubber Products that are cost effective.